Easy Tips for Growing Broccoli Successfully at Home! 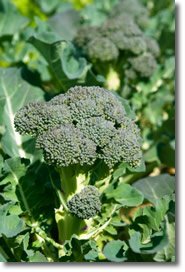 Here are some easy tips for growing broccoli in your vegetable garden; also use our free planting guide and zone chart for raising broccoli. 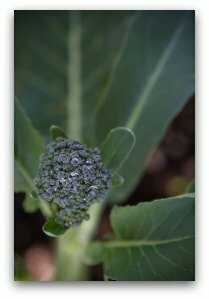 Raising broccoli in your vegetable garden is actually quite simple, believe it or not! Adding broccoli to your organic home garden has many advantages, whether you are planning a small raised bed, or traditional in-ground vegetable garden. Broccoli is easy to fit into your vegetable garden design or layout. You can harvest this wonder plant in as little as 55 days and yet continue to harvest for many more weeks to come. 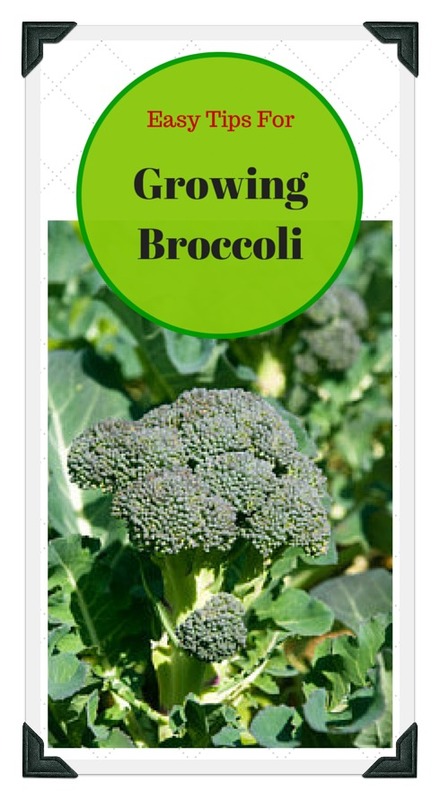 Even if you’re a beginner in the garden, you can cultivate broccoli with little difficulty! 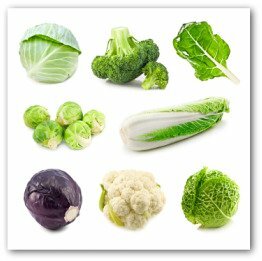 Broccoli is a cool season plant like cabbage, cauliflower and Brussels sprouts. It prefers daytime high temperatures of 50-70 degrees F.
If your winter temperature doesn't go below 20 degrees F., it can be planted in the fall and will be ready to mature in the cooler weather of spring and early summer. 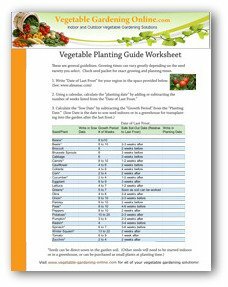 Download our vegetable planting guide and zone chart for more information on planting and growing times for broccoli. Green Goliath – bred for the home gardener, it yields side shoots to harvest even after the center flower has been picked. Cruiser – this thrives even in dry conditions with high-yield harvests after 58 days. Green Comet – with its very early maturity and vigorous characteristics, it can be harvested after only 55 days. You’ll have to look for a location with good air circulation and soil drainage as well plenty of direct sunlight when growing broccoli. 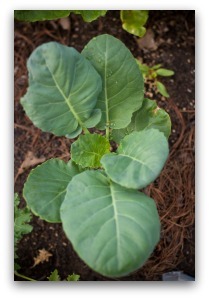 Broccoli will grow much better in rich soil with added compost, humus, or aged manure worked into the soil. Also, it is important that no other cabbage family plants like Brussels sprouts have been planted in the same spot for 3-4 years prior to planting broccoli. If you plan to apply the direct-sowing method to growing broccoli, which will work for fall plantings, you must plant the seeds directly into the soil about 90 days prior to the first frost at depths of ¼-½ inches. If you use the transplanting method, you will want to plant the seeds in indoor trays about 5-6 weeks prior to the last frost. You can then transplant the young plants in the early spring with 18-24 inches clearance between plants. 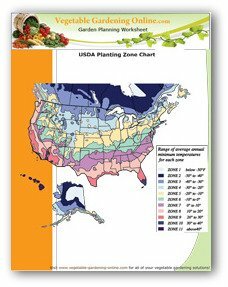 If you are planting several plants, you might want to stagger the plantings by several weeks so that all of your plants are not ready for harvest at the same time. If you have more broccoli ready to harvest than you can eat, you can blanch it in boiling water, and put it in the freezer for later use. Whatever method used, you need to allocate 36 inches of space between rows. This is necessary because broccoli plants can grow up to 3 feet in height and are very heavy feeders, which means that they need space and enriched soil to grow well. As most home gardeners can tell you from experience, growing broccoli is a relatively easy undertaking. Often, you just plant it in the prepared enriched soil, sprinkle starter fertilizer and provide ample water and you’re done in about 2-3 months! There are, however, tips to yield better and bigger broccoli heads. First, you need to add compost as topdressing when the central flower/head measures an inch in diameter. Just sprinkle around the plant’s base but never against the stem. Second, always ensure ample moisture by giving the plant 1-2 inches of water per week during dry weather. However, you must never water the head as you can encourage flowering, which is definitely not desired in broccoli cultivation. Third, you have to mulch to maximize moisture retention as well as to prevent weed growth. 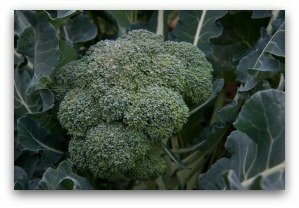 Growing broccoli also means that you may want to install cardboard collars to prevent cutworms from eating the plant and row covers for protection against the cold. And that’s about it! 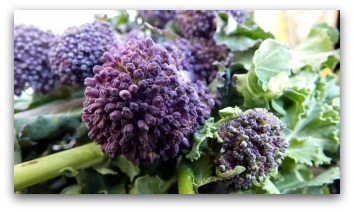 You can start harvesting your delicious broccoli and enjoy eating the fruits of your labor.